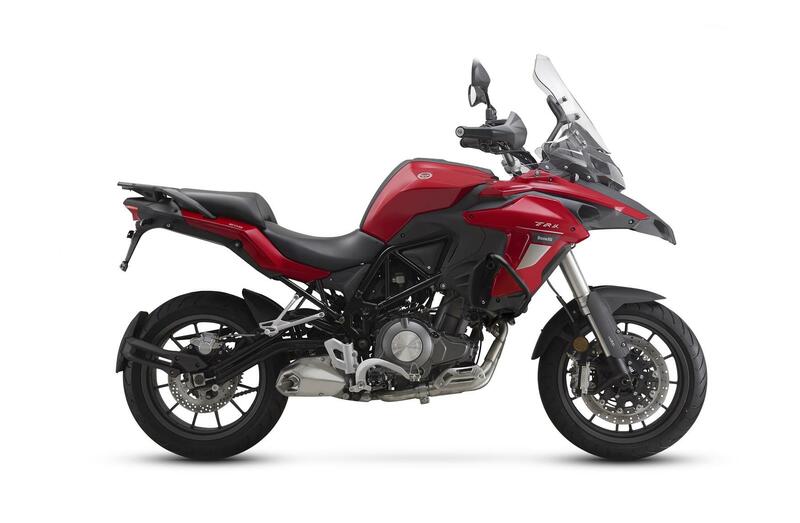 We're in Italy for the launch of the new Benelli TRK 502, a 500cc parallel twin adventure bike first shown at the Milan Show in 2015. Benelli's adventure bike offering - which bears more than a passing resemblance to the Ducati Multistrada - produces 46bhp at 8500rpm, making it perfect for those on an A2 licence. 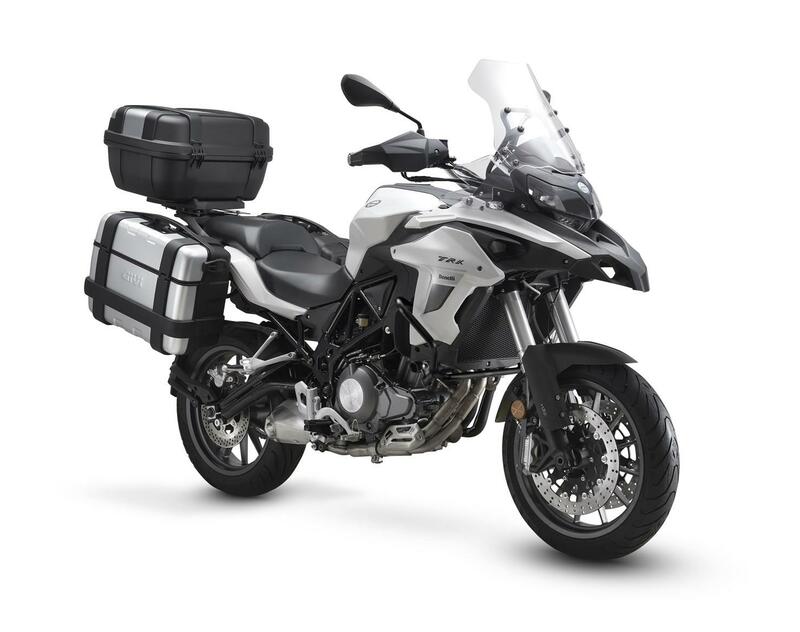 Torque is 33ftlb at 4500rpm and there's a 20 litre fuel tank for covering longer distances. The engine is going to have its work cut out, the Benelli is a a heavyweight with a kerb weight of 235kg. To put that into perspective, BMW's new R1200GS Exclusive TE weighs 244kg. If the weight might be an issue the seat height shouldn't be - it's only 800mm above the ground, so shorter riders should have no problem. The TRK 502 comes with a fully adjustable upside down front fork with 135mm of travel and will also be available in slightly more off-road focussed guise complete with 19-inch front wheel. Up front there are two 320mm discs gripped by four-piston calipers, with a 260mm disc at the rear. ABS is standard equipment. The TRK comes in a choice of red, black or white. The TRK will be competing against the popular Honda CB500X for the A2 adventure crown, but in pictures at least, the Benelli looks the more adventure ready. 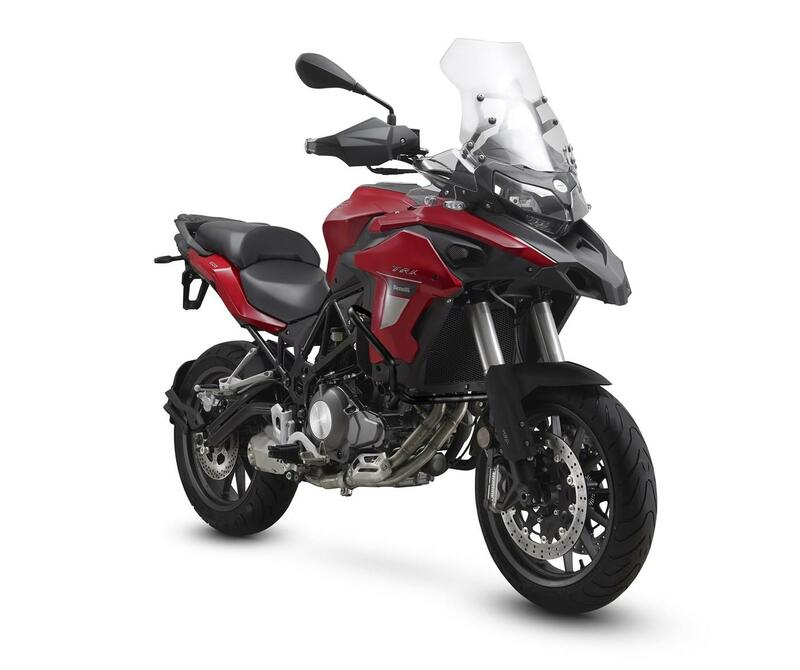 Benelli have yet to confirm a UK price, but expect to sell the TRK 502 in Italy for under €6000 (£5097.24).